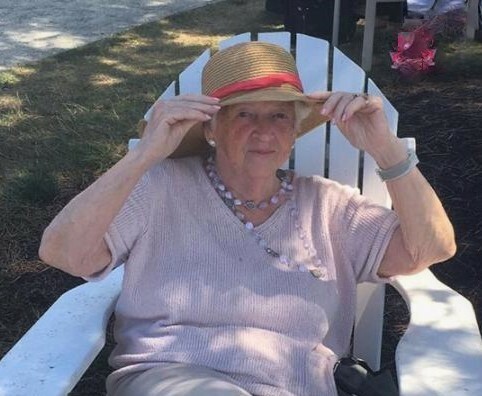 Louise Marie Sullivan, 86, a long-time resident of Holliston, passed away Saturday, March 30, 2019. Born in Everett, she was the daughter of the late Nora (McCarthy) and Edward Beaulieu. Married in 1951, she was the wife of the late John L. Sullivan of Holliston. Louise was an amazing woman with a natural instinct to give and receive great joy. She dedicated her entire adult life to her husband and their seven children. Known as “Nana” to her 15 grandchildren and 14 great-grandchildren, as well as, “Chickie” to her Husband, siblings and close friends. Her wonderful smile and belief in “family first” would light up any room while warming the hearts of all she touched. Louise is survived by six children, John Sullivan Jr. and his wife, Mari, Lawrence Sullivan and his wife, Cynthia, Paul Sullivan and his wife, Pamela, Donna Caligaris and her husband, David, Gary Sullivan and his husband, Mark, and Patti Sullivan. She also leaves behind 15 grandchildren, 14 great-grandchildren, and two siblings, Margaret Conquest and Dot Hill and her husband, Tommy. She is predeceased by her son, Edward Sullivan, and her four siblings, Edward Beaulieu, James Beaulieu, Joseph Beaulieu, and Jean Tringale. Visitation will be held on Tuesday, April 2nd from 4:00-7:00 p.m. at the Chesmore Funeral Home of Holliston, 854 Washington St. www.ChesmoreFuneralHome.com. A private family funeral service will take place on Wednesday, April 3rd at Lake Grove Cemetery, Highland St. Holliston. In lieu of flowers, donations may be made to American Heart Assoc. 300 5th Ave, Waltham, MA 02451 or heart.org or Alzheimer’s 309 Waverley Oaks Rd, Waltham, MA 02452 or alz.org.